This week on Sneople at the Movies, we have a special two in one on Star Trek! First off, Ezra and Matty discuss the reboot movies -- why they came at a good time, the impact they had on internet fandom, and the impact they had on these two Sneople in particular in their early friendship! They also discuss early Star Trek fandom, because how could you not? Next, Ezra and Helena take on the Star Trek movies from the very first one all the way through First Contact. They talk about why Into Darkness lacked the emotional impact that Wrath of Khan had in spades, The Retcon of The Borg in Enterprise, and at least one fanvid featuring Kirk and Spock. Once again, it was going to be hard to avoid. What's your favorite Star Trek movie? 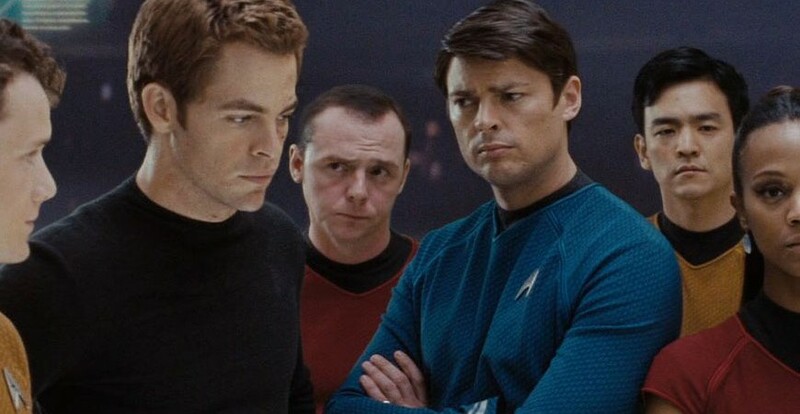 Are you also sad that there were actually only two Star Trek reboot movies because Into Darkness never happened? Any good fic recs? You can always find your Sneople @people_snake on twitter or sneopleathemovies at gmail.com. Posted on April 11, 2019 by Infinity Break and tagged Matty Trumbo-Gomes Helena Fisher-Welsh Ezra Kaye. This week on Sneople, your snouncil takes a side step from male intimacy right into the Guy Ritchie Sherlock Holmes movies. Are they really as bad as the critics claim? Ezra, Helena, and Matty explain that no, actually, they kind of rule. They go into why Robert Downey Jrs Holmes is closer to canon then you think, wax poetic over The Objective Hotness of John Watson, and get fond for the Holmes and Watson relationship for the umpteenth time in two episodes. What's your favorite Sherlock Holmes adaption? If it isn't the Great Mouse Detective, why not? Spoiler warning : if you've not seen these movies and always secretly kind of wanted to, we do recommend doing so before listening to this episode. If you haven't and don't mind spoilers, they give an overview of the plot so you don't feel lost. Posted on March 28, 2019 by Infinity Break and tagged Ezra Kaye Helena Fisher-Welsh Matty Trumbo-Gomes. This week on Sneople, Matty, Ezra, and Helena finally get serious and talk about a subject near and dear to them — male intimacy in media. Our Sneople tackle the fear of emotional intimacy and how movies can make us both feel lonely and loved. They go in depth with toxic masculinity and the delicate balance between platonic closeness and homoeroticism. They also talk about Ezra’s favorite sports movie, which isn’t really a sports movie, but is instead about two men putting in the emotional time for each other while also soccer happens. It’s a long and winding road of an episode and they’re glad to have you with them. Posted on March 14, 2019 by Infinity Break and tagged Ezra Kaye Helena Fisher-Welsh Matty Trumbo-Gomes. It’s the follow up episode that you’ve been waiting for! Hear Matty and Helena talk about the winners, the losers, the disappointment and the upset in this weird and hostless Academy Awards. How does the Best Picture voting procedure actually work? How many movie puns were Helena and her friends able to attach to one buffet. How exactly did Bohemian Rhapsody manage to win technical awards for editing with its whiplash-y cuts and disaster production history? Most importantly, did either of our slithering snake people pick the right movies for each award? All this and more in this week’s bonus episode of Sneople at the Movies. Posted on March 7, 2019 by Infinity Break and tagged Helena Fisher-Welsh Matty Trumbo-Gomes. IT’S REAL AND IT’S FUN, BUT I CAN’T SAY IT’S REAL FUN. It’s awards seasons time, and your Sneople are tackling the biggest awards night of all: The Oscars! In this first of a two part series on the Oscars, Matty, Helena, and Ezra get into their predictions for the 91st Annual Academy Awards. They discuss their history with the long-standing show, bemoan the decline of glitz and ceremony, and ponder what a host-less show will shape up to be. They also run through the list of nominees to discuss who they want to win and who they think will win -- Ethan Hawke wasn’t nominated for anything, so they have to make do with the choices the Academy has provided. It’s the Oscars Pre-show from the Past, but don’t worry -- part two, discussing the actual events of the Oscars is coming this weekend in a special double-hitter from the kids who only want justice for Paddington 2. Posted on February 28, 2019 by Infinity Break and tagged Ezra Kaye Helena Fisher-Welsh Matty Trumbo-Gomes.